This a shareware library cataloging program intendedto facilitate the building of a library database using ISBN numbers. To use the program, enter an ISBN number into the "Enter ISBN" field and all the pertinent information about the book and reviews of the book will be loaded. The information is gathered through the internet so you must have an internet connectivity to use this program. Data source and reviews now provided by Amazon.com ECS Services. XML save format now available. Size Attribute Field changed to Publication Date Attribute Field. Code tweaks for improved performance and reliability. 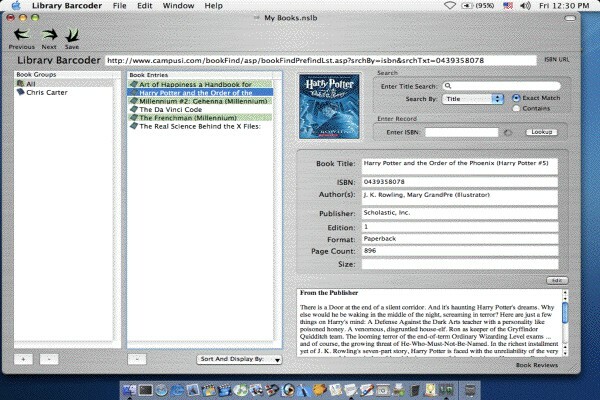 BookTracker is an easy to use way of keeping track of books that you own, have read or have listened to.